When it comes to jeans most of us know the basics: Length, shade, rise and in-seam. Did you know there is something more to the fit of a jean though? Something that has nothing to do with the denim pants themselves?? The deciding factor of pants being a do or a don’t resides in the shoe. That’s right ladies! Shoes once again are the thing that matters most. Ever put on a pant and thought to yourself, “These just don’t look right…”? You’ve worn them a million times before and never had a problem. It is the holidays and all, but you got them buttoned so it isn’t your waistline being the problem. Frayed Hem & Heel: The jean that started it all. 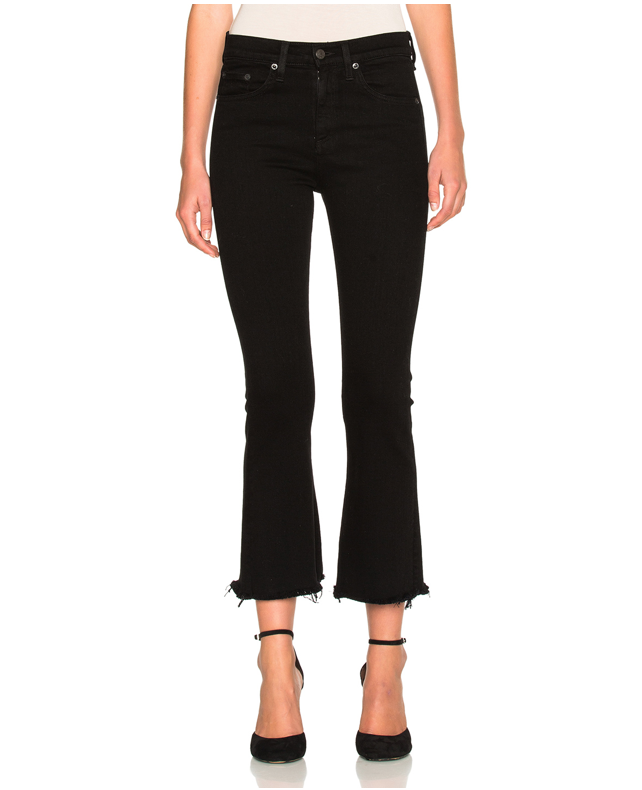 I recently purchased a pair of frayed jeans like the ones in the photo above. Upon trying them on I had a long conversation with all the sales reps about why they didn’t look just right (but were still something I HAD to buy). They informed me that swapping my flats out for a higher heel would do the trick. Sure enough, all I needed was to balance the frayed edges with a little pop of height. Cropped Hem & A Strap: I am honestly not the biggest fan of a cropped hem. Maybe it is PTSD from my pedal pusher days, or perhaps just something I don’t think looks right. 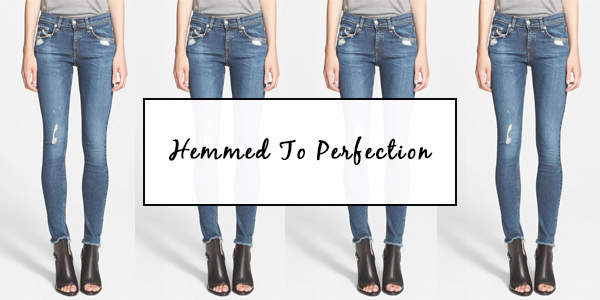 Though, if you are going to do a cropped hem jean, the way to do it is by breaking up the lines with more lines! 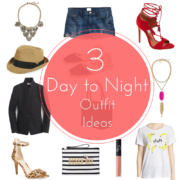 Pair with a strappy heel to keep the eye going in the right direction. 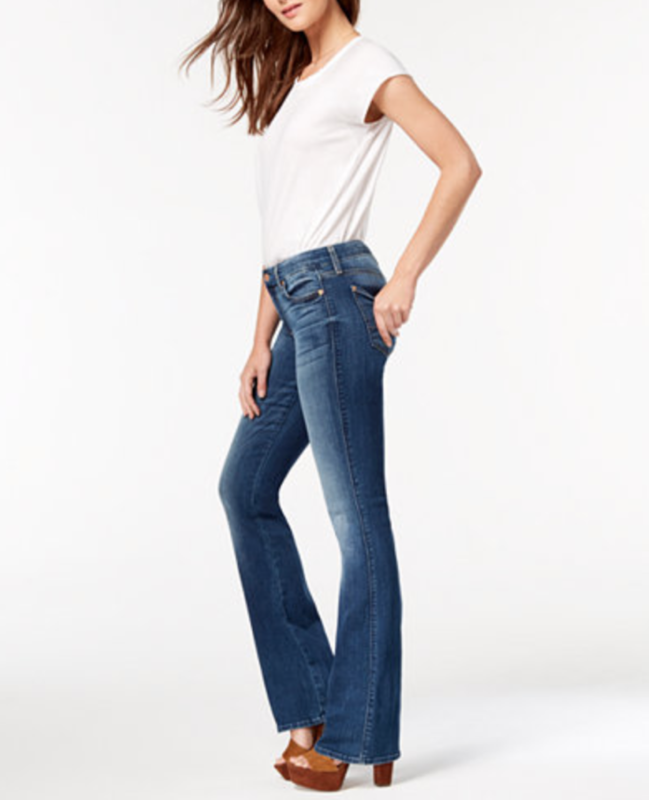 Flare Legged Hem & Platform: When it comes to flare legged jeans, the whole point is to elongate. My rule of thumb is to keep the length going as long as you can. Max out on the height with a pair of platform heels or booties. Stay away from flatter shoes or a lesser heel, it usually gives off a stumpy look. Skinny Leg Hem & Flat: Not so much that it is how you have to wear them, but how you get to wear them! 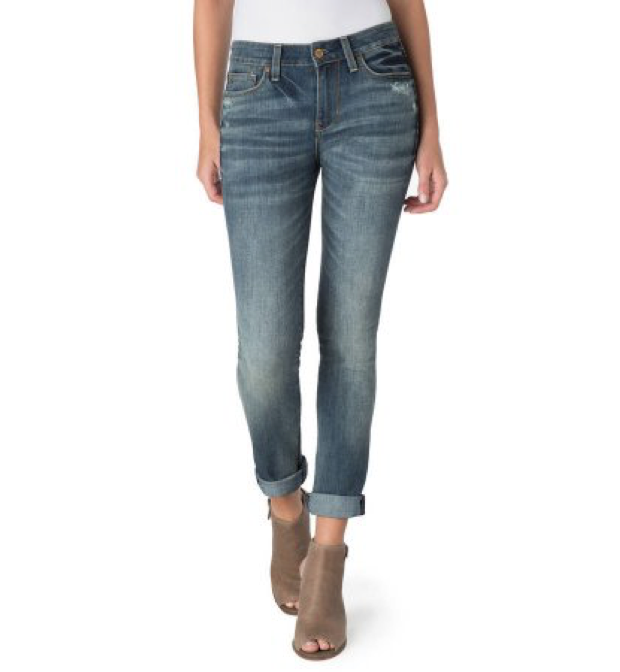 Skinny legged jeans are on the list of those which can be dawned with flats. Since the tailored leg allows for a slender path, it is great for making into a more casual look with a flat. Cuffed Jean & Bootie: A cuff of some sort is always in style. May the cuffs of your jeans be skinny and rolled like the ones shown above, or thick and singular how they are being worm now. The problem with a cuffed jean is that they can easily cut your height in half. The harsh stop often times becomes a distraction, and when not paired with the right shoe can be detrimental (not to be dramatic) to an outfit. I always suggest wearing a bootie of some sort. It keeps in line with the cut of the cuff but still gives an elongated look when turned to the side. So before the next time you slap on a pair of jeans and shoes, take a moment to think, what would your little jean angel do? May be all I’m doing right — been wearing long flared jeans the past three years with 70’s inspired platforms. Wore them then and now–who would have thought?